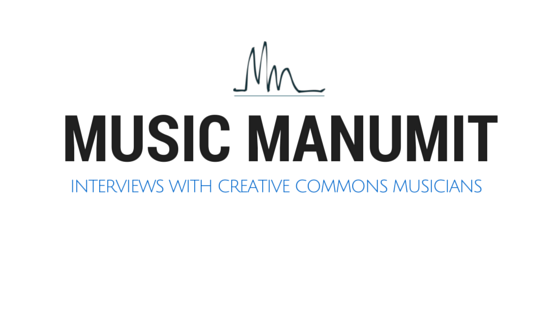 Music Manumit: Copyright: Day 2 - Graffiti as Fair Use? Copyright: Day 2 - Graffiti as Fair Use? Today was the second day of my copyright course at UNH Law. Again, Susan Richey was filling in for Mary Wong. The readings for the day were pages 3-11; 15-18; 21-31and 33-39 Copyright in a Global Information Economy: Third Edition by Cohen, Loren, Okediji and O'Rourke. In case anyone wants to follow along, the ISDN is 978-0-7355-9196-7. The same as last time. Like the first day, I didn't learn much, because the course is for people that don't necessarily have the copyright background I have. I did learn one incredible thing though. I got out copyright-hippied by a professor. Professor Richey thinks there should be a "fair use" argument for mural artists painting murals on the side of other people's buildings. Now, maybe she doesn't actually think this. Maybe she was just trying to provoke conversation, but she seemed pretty adamant about it to me. While generally I think private property should submit to the public good I don't place smog regulations in the same category as murals. I realize that mural art is different than posting art to Flickr, but from a First Amendment point of view, it seems to me like there is ample opportunity to speak. The private property chilling affect seems pretty limited. It sounded like Professor Richey was ready to give the fair use exception only to artists and not to advertisements, but as far as I'm concerned, a good advertisement is art. Now, let me also be clear that people that think graffiti cannot be art are simply wrong. I also think cities should have public places for such art. However, if architecture is art, who is to say that the graffiti isn't, well, vandalism. There is a big difference in Duchamp's L.H.O.O.Q. and someone actually "vandalizing" the Mona Lisa. Thanks to restoration guru Henry Hebert for point out this "innocent vandalism". Let me also be clear that there are other legal issues in Professor Richey's comment such as federalism and government "takings" which I don't feel the need to discuss here. If people want to discuss those in the comments, have at it. Aside from that, below are some odds and ends from today's class. We discussed briefly how you can waive moral rights, but you can't transfer them. We also briefly discussed "neighboring rights" of copyright, which in the US are for musical performers, producers of sound recordings and broadcasters. We also briefly discussed the definition of a joint work. The Nat King Cole/Natalie Cole duet is *not* a joint work, because Nat King didn't intend it to be a joint work (Nat King was dead at the time of the editing to make the track a duet). Interestingly, it was mentioned that work-for-hire is one of the most misunderstood copyright doctrines. I'll be sure to write more about this issue in depth when we get past this survey portion of the course. It was also mentioned that moral rights expire upon death. While this may be true of VARA rights, this is not true in all states regarding things such as the right of publicity. Also, I do not believe this is true in all European nations, though it's possible I'm wrong about that. We also briefly discussed copyright registration, contributory liability, vicarious liability, the first sale doctrine, fair use, and the DMCA. Actually, our discussion of fair use was a little longer than brief, but we just spoke with CC Canada about the differences in the US fair use and the Canadian fair dealing and I don't think our discussion today in class warrants a lot of discussion here. There's already plenty written on Wikipedia about fair use for those that want something before we get to the more substantive parts of the doctrine later in the semester. Lastly, I wanted to mention that after copyright class Professor Greg Vetter of the University of Houston gave a guest lecture today. My understanding is the video will be post on the UNH YouTube page. Currently the video is not up. I don't think the talk warrants a separate write-up from me. It was *very* basic. I highly doubt anyone reading this entry would find it worth an hour of their time, unless someone is just curious about legal education. If that's really all you want though, let me suggest Professor Goldman's talk on SOPA/PIPA or Judge Gajarsa's talk on the America Invents Act. However, because I am so ridiculously awesome, if someone wants me to do a write-up, I will. Also, I want to publicly thank Professor Vetter for coming to the school to give a talk. While I didn't personally gain anything from the talk, not everyone in the room wrote their master's thesis on free/libre and open source software. It's very clear I wasn't the target audience and I don't begrudge Professor Vetter for that. That's all for now, tomorrow there should be a patent entry up over at opensourceplayground.org! Also, we don't have class next Tuesday, so no post from me. Professor Wong is still in Asia.